Composed living room with kitchenette, pellet stove, sofa bed, TV and panoramic balcony. Mezzanine with double bed; bathroom with shower. The accommodation is furnished with typical mountain taste, in wood. 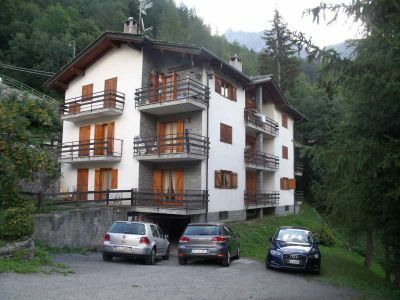 It is located on the third and last floor of a building, which is part of a residential complex in a panoramic and quiet position in the municipality of Valtournenche, Bregnaz. Outdoor parking space and a condominium equipped area are available.